Who wouldn't want better health, cute workout clothes or a tighter booty? 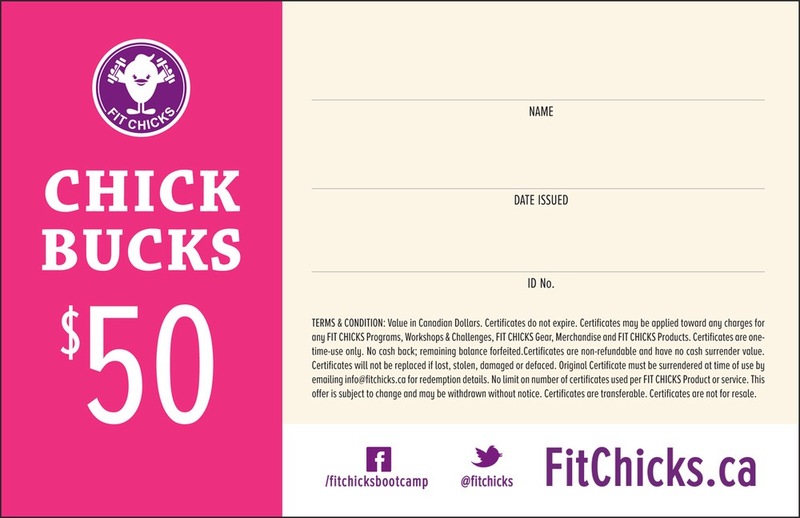 Chick Bucks can be used towards all things FIT CHICKS and is the perfect gift for any fab femmes you know to celebrate any occasion! 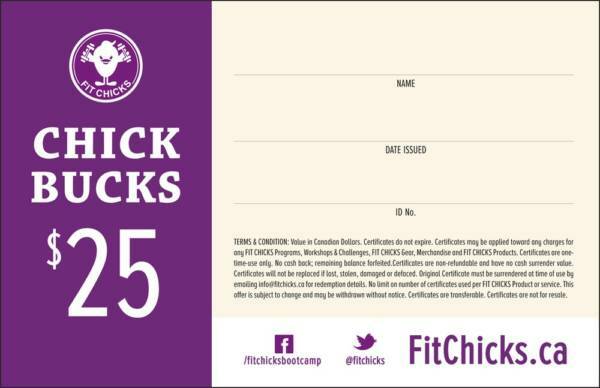 Certificates may be applied toward any charges for any FIT CHICKS Programs, Workshops & Challenges, FIT CHICKS Gear, Merchandise and FIT CHICKS Products. Certificates are one-time-use only. No cash back; remaining balance forfeited. 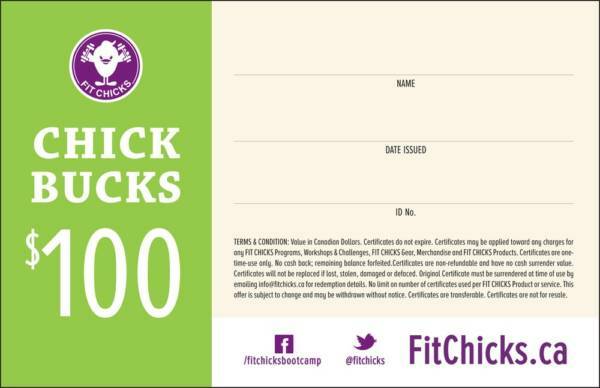 Certificates are non-refundable and have no cash surrender value. Certificates will not be replaced if lost, stolen, damaged or defaced. 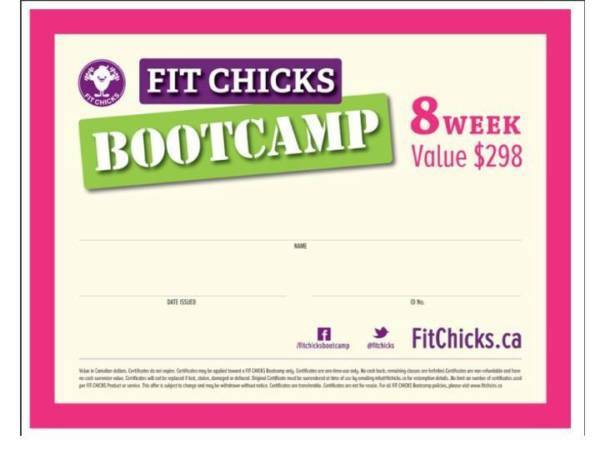 Original Certificate must be surrendered at time of use by emailing info@fitchicks.ca for redemption details. 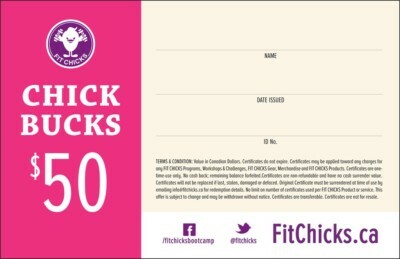 No limit on number of certificates used per FIT CHICKS Product or service. 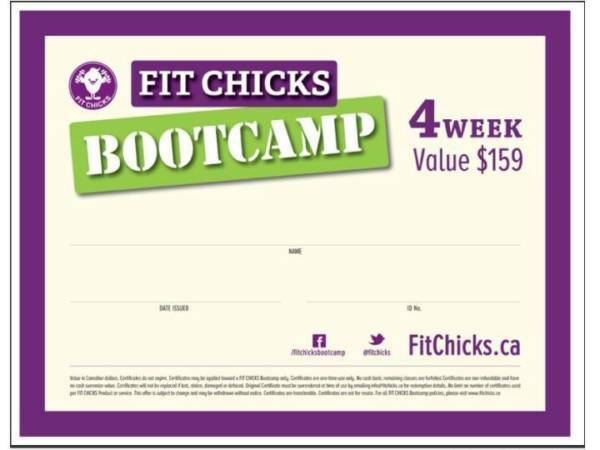 This offer is subject to change and may be withdrawn without notice. Certificates are not for resale.